California is the fourth largest wine-growing region in the world. 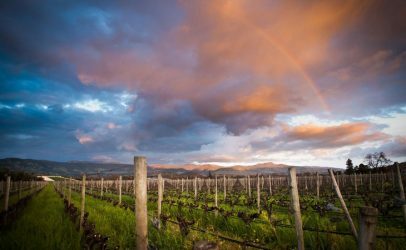 Although its history already began a few centuries ago, it’s since the 60s of the last century that California, and especially Napa Valley, has begun to become known worldwide. The success of Napa Valley has been strongly influenced by the human factor, above all by the great visionary Robert Mondavi. 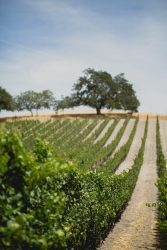 Paso Robles, an authentic and innovative region, represents the new wine region of California. Learn more about this region and its emblematic wines! California has a long history. Despite the fact that production began a few centuries ago, the wine-growing region experienced quiet different periods of fame and recession, due to natural (Phylloxera) and not natural (prohibition) vicissitudes. As a result, success only came in the early 1960s. In the twentieth century the wines of this region gained international recognition and began to be appreciated and recognised all over the world. Although all 50 states of America are producing wine, more than 90% of American wine is produced in California, which can be called the “Great American Wine Tank”. California would be the fourth wine producer in the world, if it were an independent state. Over the last two decades the number of vineyards has doubled, meanwhile the number of wineries has even quadrupled: 216, 000 hectares of vines in 100 denominations. The most cultivated varieties are almost all international: Cabernet Sauvignon (“Cab”), Zinfandel, Merlot, Pinot Noir, Syrah and, for the whites, the famous Chardonnay. The Zinfandel (white Zinfandel) is very famous in the United States and is also one of the oldest varieties in the region. It was discovered in the early 19th century and many thought it was an autochthonous vine. Recent DNA surveys have been able to alter this assumption, in fact the vine is genetically identical to the Primitivo. Most of the vineyards are located between the Pacific Coast and the Central Valley. The climate is very varied: Mediterranean or continental, with cold winds alternating with a constant heat. Although it is raining quiet a lot in the winter in the northern regions, the vineyards often have to face periods of extreme drought. In many ways, the Californian Style is largely based on the French Style, inspired in particular by the wines of Bordeaux, Burgundy and the Rhône Valley. Cabernet Sauvignon) won in their respective categories, proving the quality of Napa Valley. A few years later, Phylloxera devastates the vines of Napa Valley de novo, which gave the winegrowers the opportunity to improve the quality of their vines. So they decided to replant some varieties which are more suitable to the terroir. In 1981, Napa Valley became the first AVA (American Viticulture Area) and in the course of time it turned into a region for wine tourism. The success of Napa Valley has been influenced by a strong human factor. The first to mark the story of the region was Timothy Diener, a member of Christian Brothers. Sent to Mount Veeder in 1935 to collaborate in wine production, this former science professor helped Christian Brothers to become one of the most important brands. André Tchelistcheff, recruited in Beaulieu in 1938, introduced new vinification techniques: ageing in oak barrels, cold fermentation, malolactic fermentation and frost prevention. Finally, Robert Mondavi arrived, a true icon of Napa Valley. 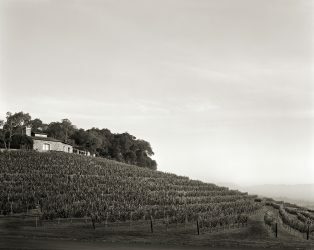 The latter left Krug in 1965 to start his own wine production and he predisposed a marketing and branding strategy together with the Napa Valley Vintners Association to popularise the area. 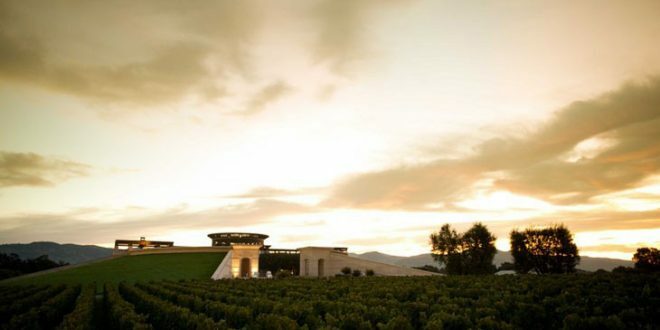 Robert Mondavi was a visionary who has never stopped producing wines which show proudly the elegance and finesse of a great terroir such as Napa Valley. 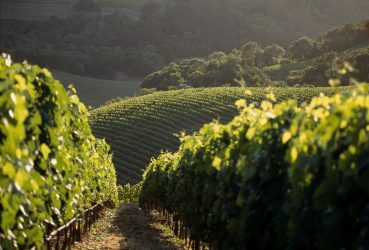 It is divided into 12 zones, the most appreciated among them are Stags Leap District, Carneros, Paso Robles, Mount Veeder, Rutherford and Oakville. Paso Robles is a wine region located in San Luis Obispo County, which is considered to be California`s “Wild West”. The city of El Paso de Robles (which means “the oak`s passage”) was founded around 1869 and is situated halfway between San Francisco and Los Angeles. These days, Paso Robles is still considered as the “Wild West” of the wine industry, characterised by an innovative and extraordinary spirit. 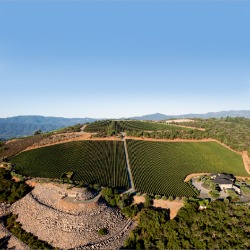 Paso Robles is exceptional, due to its diversity of land, exposure and precipitation. With 13, 000 hectares Paso Robles is California’s largest AVA. In this gigantic area, there are 45 different types of soils, including granite, vulcanite, sand and limestone. Calcareous soil is formed from clay and possesses a high proportion of silt that produces a high pH-value. This pH-value helps to concentrate the aromas and to maintain the acidity. A great soil for warm areas, where it is easy to grow grapes. In addition to the great diversity of soils, the area has a very varied precipitation rate. The exposure varies from 200 to 700 meters, which allows to maintain a good acidity level. An exceptional terroir, the proximity to the ocean and many microclimate: this is the secret of the wines of this authentic Californian region. Producers like to think “out of the box” and produce exceptional wines, typically with Rhône Valley varieties (Syrah, Grenache, Mourvèdre, Viognier, Roussanne), as well as Cabernet, Zinfandel and some Italian varieties. Opulent, fresh, characterised by red fruits, with a good alcohol content, a soft palate and perfect acidity, Paso Robles wines are great in their youth, although the best ones are suitable for a long ageing. 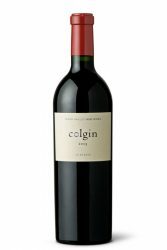 The Colgin IX Estate 2013, a blend of 68% Cabernet Sauvignon, 14% Merlot, 10% Cabernet Franc and 8% Petit Verdot, is a wine from Ann Colgin and her winemaking team. The wine reveals notes of lead pencil shavings, spring flowers, cassis, blueberry and blackberry. It has the full smorgasbord of black and blue fruits, well integrated, toasty oak, acidity and tannin, a floral note that is unmistakable, and great richness, purity and density. It is an utterly exceptional wine and a tribute to not only a great vineyard, but impeccable winemaking and upbringing. The estate l’Aventure, a Paso Robles reference, is located in the heart of the appellation.. 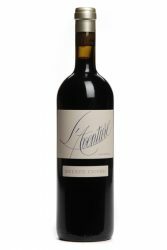 The 2014 Estate Cuvee is a blend of 50% Cabernet Sauvignon, 35% Syrah and 15% Petit Verdot. This offering reveals a wonderful bouquet of complex aromas such as graphite, blackcurrant, grilled spices, humid earth, and herbs flavours. The 2014 Estate Cuvee of L’Aventure is thick and full-bodied and offers an unctuous yet elegant and pure palate. 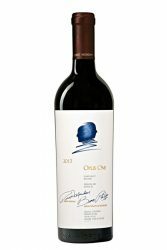 The 2013 Opus One is a blend of 79% Cabernet Sauvignon, 7% Cabernet Franc, 6% Merlot, 6% Petit Verdot, and 2% Malbec. This wine offers splendid notes of currant and blackberries combined with rose flower, anise, and gingerbread nuances. The creamy attack in the mouth evolves into lovely depth. Coated, smooth tannins cover the palate with fresh black fruit flavors. The 2013 Opus One is elegant, balanced, sharp and structured. The finish is persistent with hints of dark chocolate.